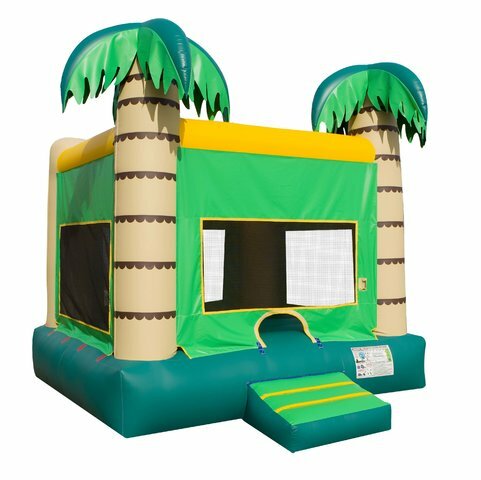 THIS PALM TREE JUMP is Awesome for all ages and will bring life to your next LUAU PARTY!!! The Palm Tree is sure to be a stunning addition to your next party, new safety netting desing makes it safer for the jumpers. Safety ramp included in all inflatables to create the safest entrance and exit for the riders. This new desing comes with a breathable top that allows sun light to come in but still keeps the unit shaded and cool during the summer. It has enough bouncing room for 5-6 kids at a time!